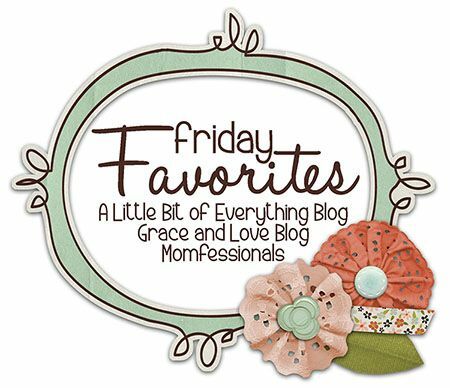 I am linking up with Momfessionals and A Little Bit of Everything for Friday Favorites today! I have to say I really enjoy doing the favorites posts! Next Friday though, I will be back with How the Jeans Fit Friday - Scale edition! It is "officially" fall! It has been fall in my house since September 1st, but now the world has joined me! I love everything about fall. The weather, the food, the activities, back to school, Halloween, Thanksgiving, Christmas preparations, apple picking, pumpkin picking and the baking that goes along with them, fall decorations, fall crafts. You name it I probably love it! I love to buy fresh flowers! I love to receive flowers as well, but that doesn't happen as often as I buy them for myself! Mike probably buys them for me a few times a year, so he isn't a complete slacker :) I don't buy them too much in the winter, but in the spring and in the fall, I buy them almost weekly. There is just something about fresh flowers that brighten up a house and I crave that in the spring around here after a long winter and there is no better decoration in the fall than an arrangement of fall colored flowers! Take a look at some arrangements I made from some Trader Joe's flowers this week! I am loving Pumpkin Spice lattes from Starbucks, the Pumpkin Mocha iced lattes from Dunkins...all the usuals! But this week I bought a new pumpkin food and I am in love! Pumpkin Butter! Seriously people, it is so good! 2. It has a touch of sweetness to it and even though I love it, I won't eat a ton of it. This is a win, win for me because with peanut butter, I can't get enough of it. I LOVE it and can eat it right from the jar and I can eat mass quantities of it without thinking twice (I am not alone here, right??). It is a food that I feel I need to consume daily, but can often have a hard time portioning. So now I have found a great alternative. It is perfect on all the usual suspects such as English muffins and apples, but I only use a little! Love these outfits! I don't necessarily love every accessory shown but the clothes and most of the shoes are right up my alley for things I would love to buy! I am itching to put together some of these outfits, but I am holding off right now. I have enough to get me through the next few months of cooler weather and hopefully, I will be able to add some things around Christmas time after I have lost some weight! WIAW - Monday and Recipe Edition! What I Ate Wednesdsay - Typical Tuesday!